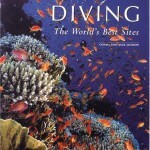 DivingTop100.com & our affiliated dive listings sites offer readers the option to join our mailing list or newsletter, as well as make posts to our diving blogs. DivingTop100.com does not sell or otherwise transfer the data collected to third party list or brokerage companies. We value your readership and your privacy. You may also opt out of some, but not all, of these cookies in one location at the Network Advertising Initiative opt-out website atwww.networkadvertising.org/managing/opt_out.asp. There are plenty of sites out there that want to provide you with information, offer dive vacation specials, book your trip or sell you insurance. Some can possibly even lead you into malicious or harmful websites. We don’t want to see that happen. Divers need to look out for their buddies, right? 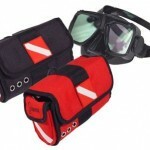 DivingTop100.com strives to keep our readers safe while they surf. We try to only provide credible links to valuable resources for diving. We try to steer you away from annoying pop ups and reirects, so that you can surf in peace. If you know of a resource that you think is valuable, please let us know. We’ll check it out and be happy to include any solid resources you might have to offer our readers. 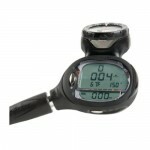 DivingTop100.com is a proud participant in the Amazon Services, LLC Associates Program, an affiliate advertising program designed to provide a means for sites to earn advertising fees by advertising and linking to the trusted sales professionals featured on Amazon.com.” We try to bring you quality, reviewed product ideas that compliment your diving lifestyle.